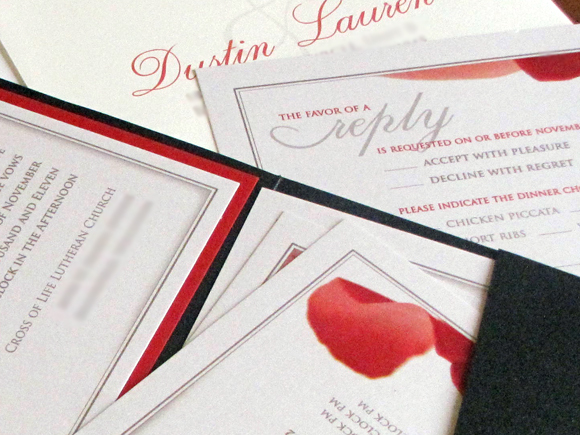 My most recent invitation adventure took me back to metallic paper. I love it...and not just because it's shiny. 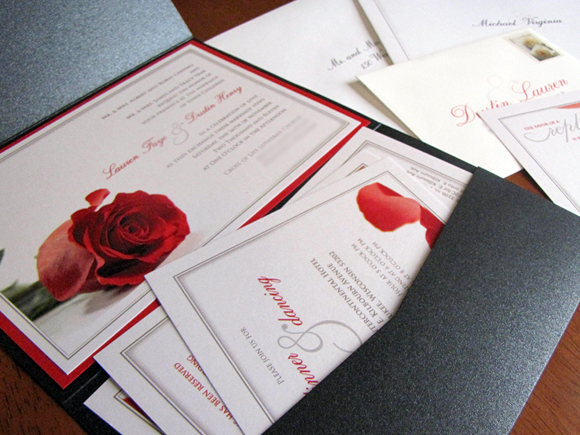 Metallic paper has such an elegant style and look that it's difficult to not feel fancy when holding it in your hand. 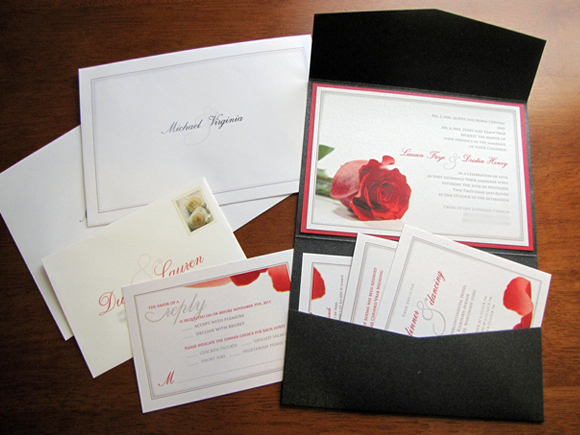 The paper is crisp with a velvety touch and it prints beautifully. 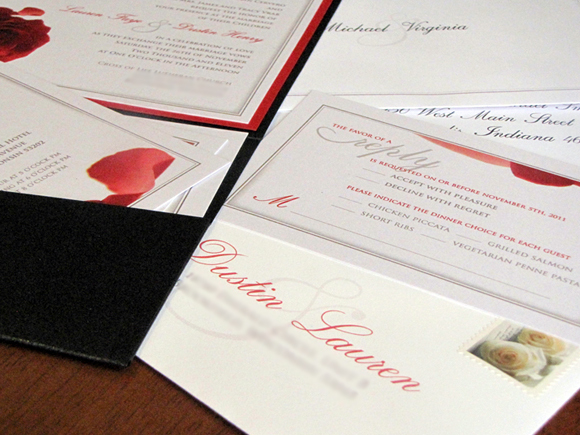 There are many sleek lines to accentuate the pops of red and to keep your eye moving in the proper direction.